While I am a frosting fanatic – donut glaze is fairly new to me. We did a trial run making glaze on our cinnamon rolls this Christmas and it was so good! Today since the kids are home on holiday we’ve decided to try our hand at glazing homemade donuts in pretty colors. 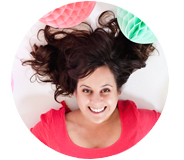 I’m excited to show you how to make donut glaze that is colorful and bright! Glaze is easier to use than frosting for making donuts look smooth, and it tastes really great. Using this homemade donut glaze is an easy way to take any treat up a notch, I even think it would be awesome for frosting cakes. I mean who says donuts must have all the fun!?! 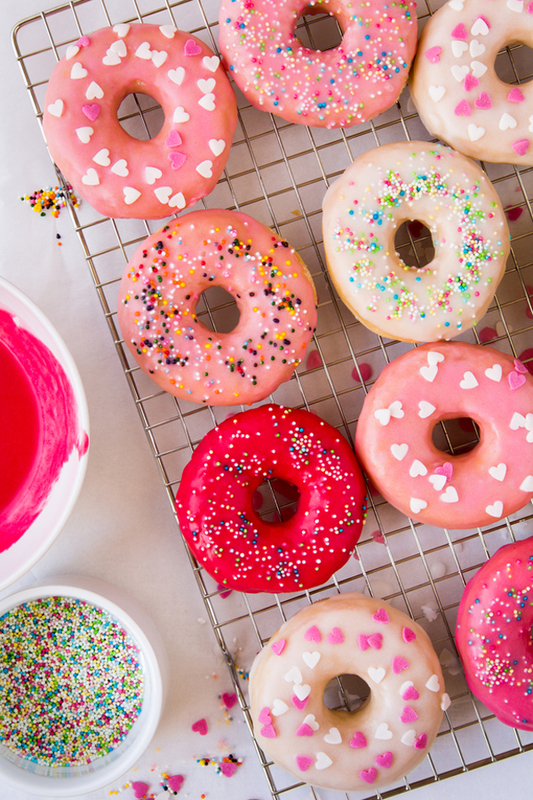 We love following these simple steps & quick tricks to getting the brightest hues on your homemade donut glaze. 1. Whisk together the powdered sugar, water, and food coloring in a bowl. Using a whisk here is really important to ensure everything is combined well. 2. Adjust consistency of the glaze, by adding a small amount of sugar if it’s too watery, or adding water if looks too thick. 3. Repeat in a couple different bowls to get various shades of color. 4. Pour the glaze over the donuts, cookies, apples or cakes… Seriously, this would be amazing on almost anything. 5. 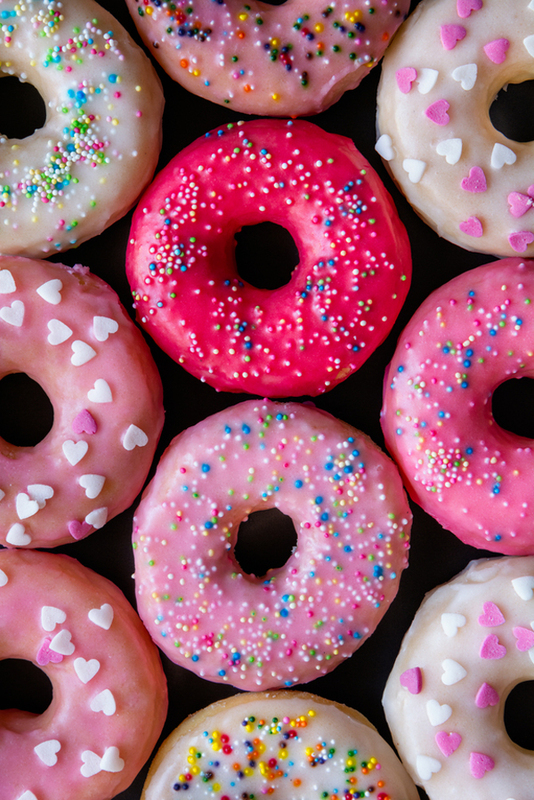 Add sprinkles, candies, or jimmies while the glaze is still wet and allow the donuts to set before eating (if you can help yourself!). 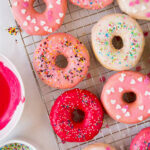 How to make donut glaze in the brightest hues you've ever seen. Adjust consistency of the glaze, by adding a small amount of sugar if it’s too watery, or adding water if looks too thick. Pour the glaze over the donuts, cookies, apples or cakes... Seriously, this would be amazing on almost anything. 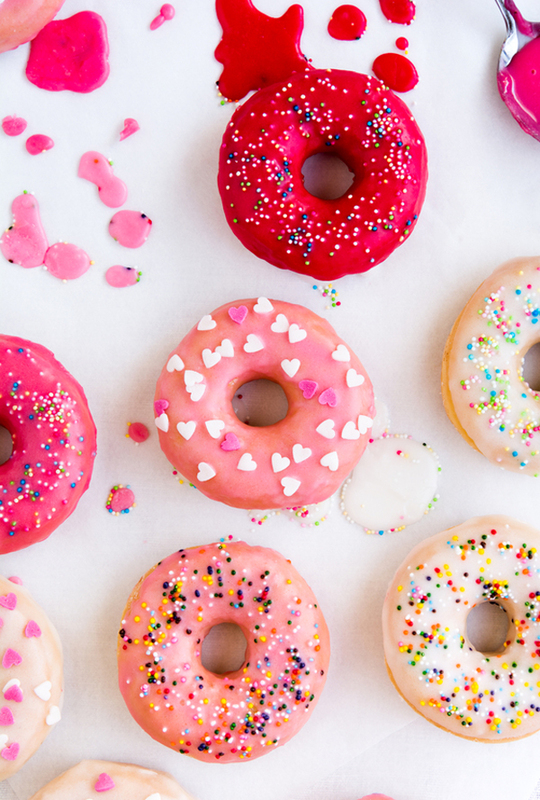 Add sprinkles, candies, or jimmies while the glaze is still wet and allow the donuts to set before eating (if you can help yourself!). Enjoy a holiday/Monday/everyday treat that is just as amazing tasting as it looks. Just a note, the kids really loved learning how to make donut glaze. The process is easy enough that most kids (I’d say 4 and up) can jump into the kitchen and create their own glaze. For birthday parties and other celebrations, it is super sweet to create recipes where the kids can join in and be a part of the fun! PS. Ever wonder how many calories are in a donut?? « Who really uses to-go mugs? Yeah!! A reason to dust off my donut maker!!! These look so pretty!!! wow!! 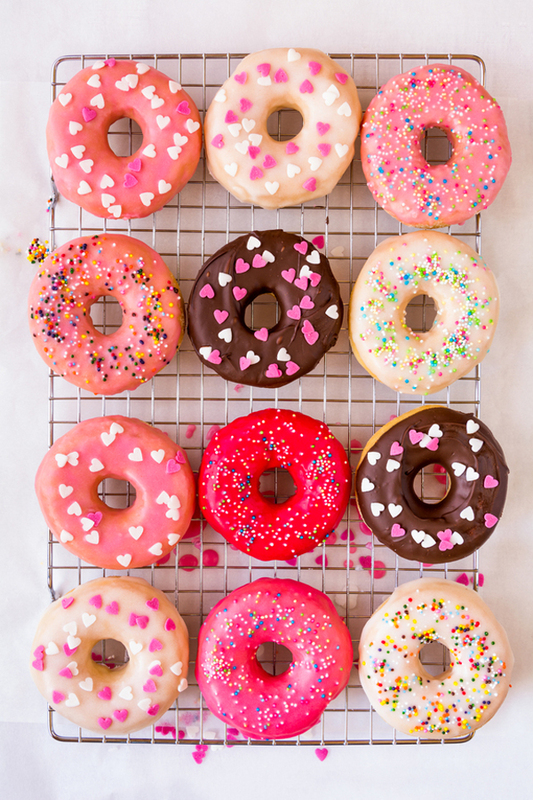 looks amazing colorful donuts!! my kids will love this dish.. please share recipes of these donuts?? These look great! How far in advance can you prepare glazed donuts? Do they need to be refrigerated for storage? This recipe looks great and what’s even better….it’s simple! But what I wanna know is….how do u think adding a flavor would be…would it go over well or should I just stick to the powdered sugar sweet?